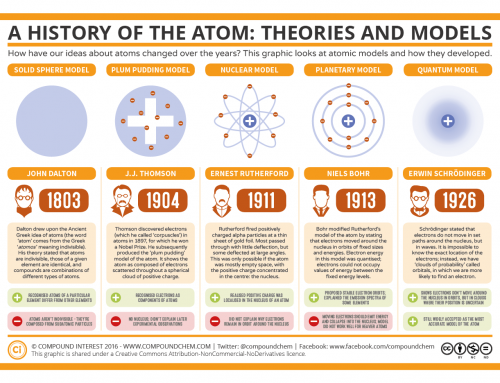 The latest in the series of infographics on groups in the periodic table, this one looks at some general information on Group 3. 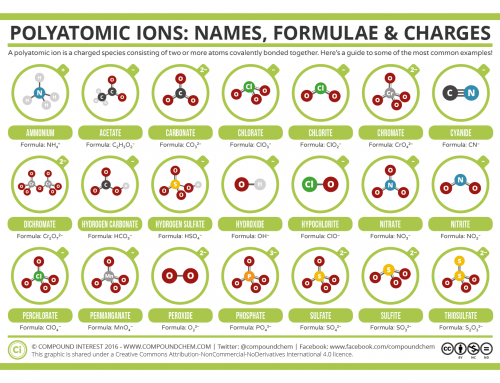 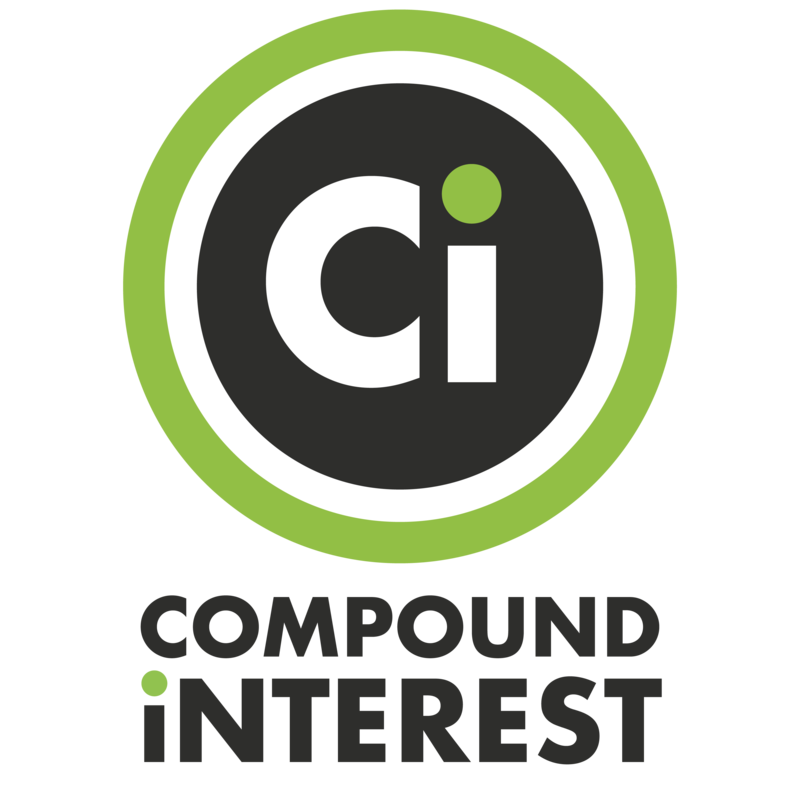 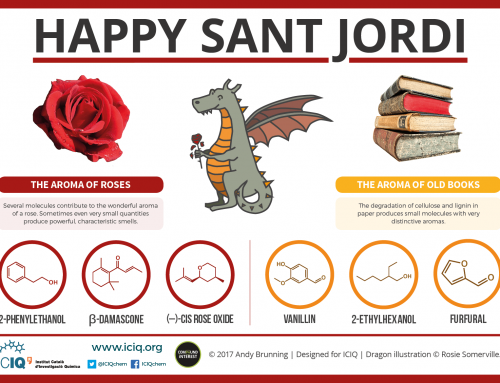 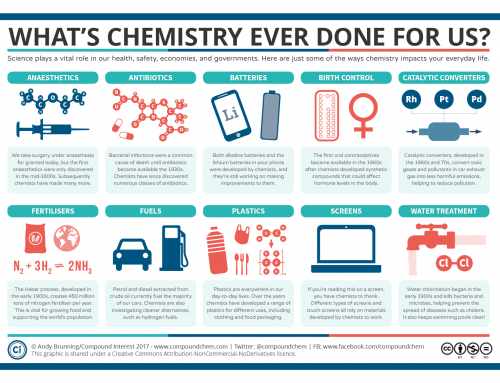 I’m aware that, technically (according to IUPAC) it should be referred to as Group 13; however, since these infographics are intended to be used in a secondary school classroom, and the majority of GCSE & A Level syllabi seem to still use the Group 1-8 nomenclature to refer to the groups surrounding the transition metals, it made sense to stick with this. 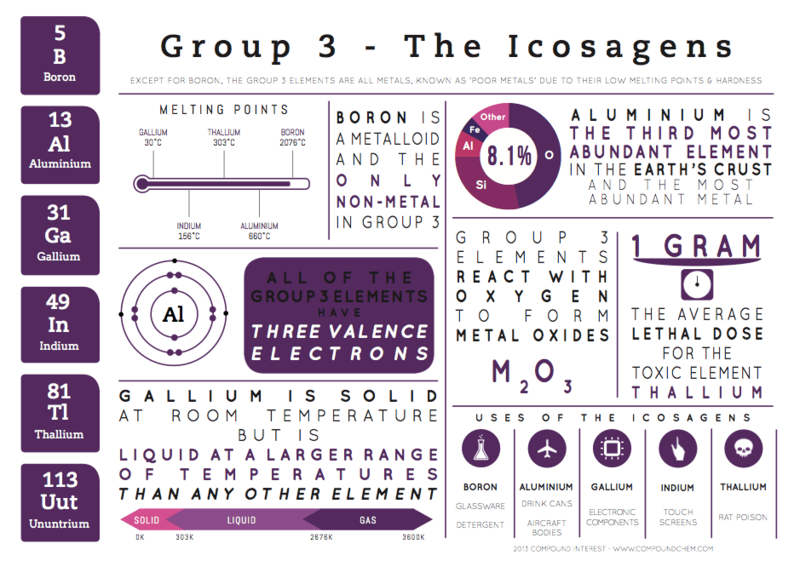 Technically, the name ‘Icosagens’ isn’t officially recognised by IUPAC either, unlike ‘halogens’ for Group 7, or ‘chalcogens’ for Group 6, but if you ask me ‘The Boron Group’ doesn’t have quite the same ring to it. 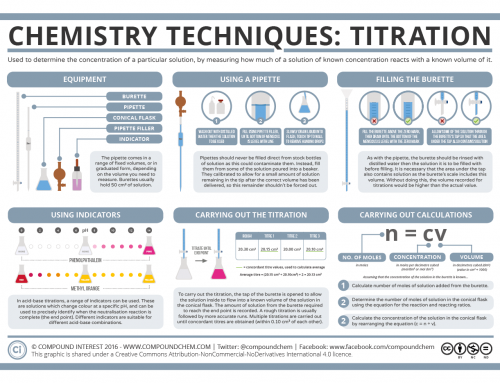 You can download the high resolution pdf of the infographic here; you can also obtain the Groups 1 & 2 infographics by navigating to the infographics section on the site and clicking on the relevant images.